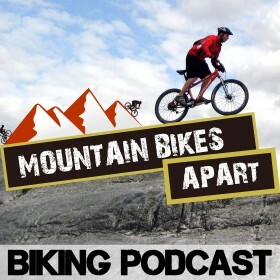 Welcome to the "What Mountain Bike Guide"
By chief Mountain Bikes Apart mis-adventurer, Colin Gray. 2. Which Mountain Bike Type is Right for Me? Chapter 1: Why a Mountain Bike? To find the right bike, we first need to understand what we’ll be doing with it. This is a guide to mountain bikes, but they’re only one niche of a pretty wide range of cycling machines. The mountain bike or road bike conundrum has foxed many a prospective rider, so let’s make sure you want a MOUNTAIN bike in the first place. The clue’s in the name. Mountain bikes were designed for the wild trails. Cycling started off as a much more practical activity – transport for the masses. And so road bikes came first. The first mountain bikes were built to be a more sturdy version of this, capable of adventuring away from the well worn trails. They’ve come a long way since then, branching into numerous different kinds of mountain bikes, but we can still classify them by what they’re designed for riding on. Goes without saying, a road bike is designed for the road. If you’re looking to get somewhere quickly, you can’t beat a skinny racing machine. But, your choice here is between comfort and speed. My local streets have a few spots which are more off-road than on. The ruts, the potholes and the rough tarmac repairs make for a bumpy ride, and a full racing bike can be a hellishly rough ride on your average city street. Hybrid bikes go a long way to increasing comfort, and a cyclo-cross bike can serve you really well on this terrain. On the other hand, a mountain bike with a pair of slick tyres can eat up the potholes and glide over the ruts. It’ll be slower, sure, thanks to the extra weight. But with traffic lights, cars and errant pedestrians getting in your way every two minutes, you wont be moving very fast anyway! The next on the scale from road to mountain is the canal path. Normally flat, but often surfaced with packed dirt and loose material, these can be traversed by a road bike, but only carefully. Hybrid and cyclo-cross bikes excel on this type of stuff. They’re sturdy enough to eat up the extra bumps, and they’ll have tyres more suited to gripping the looser surface. A mountain bike will do the job well, especially with lower profile tyres, but on a surface this regular, you might want the extra speed offered by a hybrid. Now we’re getting properly off-road. Walking trails take in the full gamut from reasonably flat, hard packed singletrack to rough, rooty, muddy, skinny trails wending their way up a hillside. This is where it gets unpredictable, and where you need to get yourself some cleats on those tyres. This is where mountain bikes start to excel. As soon as the bumps get bigger than a stray stone, and the surface is soft enough that a smooth tyre will skid as soon as you turn the pedals, you want to be on a fat tyre steed. This is a new breed of trail, developed over the past decade by private landowners and government agencies alike. Trail centres offer custom built biking routes for a range of abilities. The easiest of these would be do-able on a hybrid bike, and the hardest would need a quality mountain bike to handle the terrain. Trail centres are generally graded in colours, similar to skiing. Green is the easiest – more akin to a footpath than a custom biking trail. Blue is the next up and more designed for fast, flowing, but easy cycling. Red trails are harder and will include jumps, drops and technical sections, all of which are much easier, and much more fun on a mountain bike. And black trails are the hardest and most technical, with large jumps, big drops and the expectation that you’ll be going very very fast at least some of the time. I’ve put these together even though they’re very different. Mountain tracks can be great fun on a good bike, with hugely varied terrain, steep descents, technical sections and crazy drops. They’re not designed for bikes, so you have to be careful, but it’s often worth the effort. Downhill trails, on the other hand, are designed for bikes, although you might not think so on first inspection. Imagine 2m drops, deadly rock gardens and descents you’d more expect a rock climber to be ascending. Both of these types of terrain will demand a lot of skill, a lot of resilience and a lot of speed. Here, a mountain bike is a must. So, Do I Want a Mountain Bike or a Road Bike? The last sentence above is the key to your choice. Speed & resilience. Both increase the requirement for a really good, reliable bike. The last thing you want is to be railing a corner at full pelt when your wheels buckle, or your saddle snaps off. A good quality mountain bike is built to withstand the huge forces exerted by a vicious biking trail, keeping you safe and letting you have fun without worrying. The first step to choosing the right bike for you is to be realistic about what you’ll be riding. If it’s fast and smooth, a road bike will do the trick. If it’s slow and a bit rougher, Hybrid or Cyclo-Cross might do the trick. But the faster you go, and the rougher you ride, the more you need a quality mountain bike. If your answer is Mountain Bike, good stuff! That’s what I hoped you’d say. The next choice is what TYPE of mountain bike. As you’ve guessed there’s a bit variation in the types of trails you’ll ride, so there are still plenty of decisions to make. Let’s have a look! That’s the end of Chapter 1 – Mountain Bike or Road Bike. Make sure to check out the rest of the guide. Click through to the next chapter below.